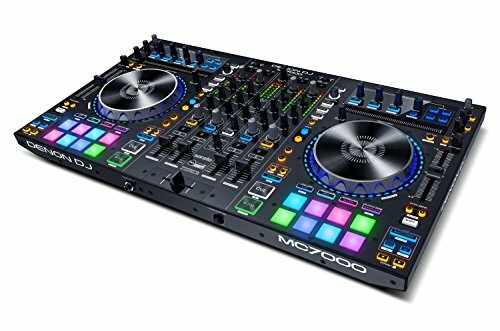 This is meant to be kind of a middle of the road option for people who don’t have a dj controller yet and want to try DJing and see if they want to get more into it and maybe spend more money. So once you have your computer whether it be Mac or PC it doesn’t matter, you’ll need to connect it to some speakers. What I recommend for this is to buy one of these cables. Now as you can see it’s a 35 millimeter to come out of the Mac and then a RCA output. The RCA outputs will allow you to pretty much connect to anything in your house you can use these bookshelf speakers if you have any of those laying around and if you’re really hard pressed and don’t even have these you can even connect it to your TV with these RCA outputs. So I’ll connect the speakers right now. Now once the speakers are connected you’ve got a few options for what to do with your headphone audio. The worst option although it is probably the cheapest is to get one of those splitter cables that takes your 35 millimeter jack and splits it into a left and right channel. I don’t recommend this because you’re not going to get goint to get mono sound actually not stereo sound on your external speakers as well as your headphones so you’re not gonna get really the full sound experience on either listening devices. 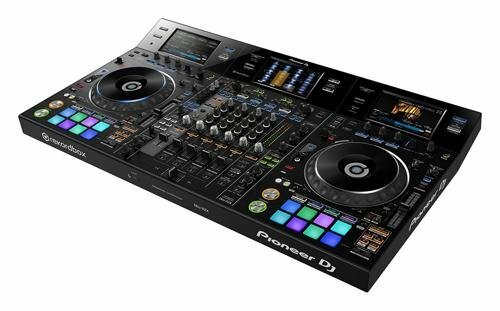 So the other option is to get a USB card for DJing. These one example would be the Behringer Ucontrol. What I’m using today is I’m using my blue Yeti microphone and this is a more expensive option because this runs about a hundred bucks but this is something. I already had so. I’m just repurposing some other equipment that I already have and you can pretty much use any USB microphone that has a headphone out on it so you can monitor the microphone. Another example of a microphone you can use would be this zoom h1 so now we’ve done over kind of like a minimal equipment list let’s talk about software. 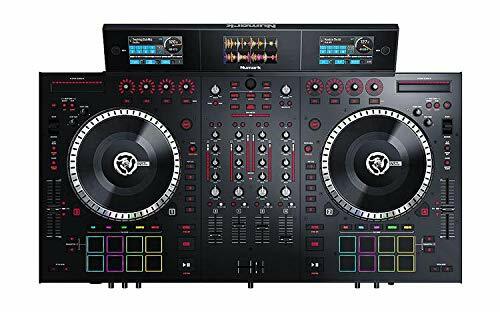 You can use either Mixxx which is an open source djing software and then there is Virtual DJ which is very popular there is a free version as well as a paid version so you can try the free version out and then once you decide you like the software or not you can go to the paid version. What I’m going to be using today is the algorithm Djay Pro software and the reason I like this like I said is it has some special effects that you can use on the track pad as well as the ability to scratch with the trackpad is pretty neat also it’s the only and DJ software as of yet that comes with online music so with a Spotify pro subscription for $10/month you get pretty much an unlimited library of music and this is great if you’re beginning DJ to try out different types of music and find out what your genre may be So with that said let’s open up Djay Pro. It’ll give you a demo and I believe when you first start the demo it’s like for 10 days and gives you about an hour each time I’ve exceeded those ten days so I only get 15 minutes I am on the fence about buying the software I do like it, but then I also for my better dj equipment I’ve got the DDJ SX2 which is a full-size controller and it comes with Serrato DJ which is a full-featured software So I’m not really sure if I want to spend $50 on this but if I was new to DJing then this would definitely be some software that I’d highly recommend and even for me personally as far as like maybe going to some smaller house parties if I want to just play around for fun. I might consider purchasing this in the future so for right now. I’ll hit demo and then the first up were gonna do is to set up the audio correctly. So let’s go to Djay Pro and then preferences in the top panel menu and let’s go to Devices. I want to make sure that the main output is set to the built in output which is this cord right here and then for my pre cueing that will be on the Yeti microphone as well as the microphone will be the Yeti microphone and that’s just my USB mic here I’ll connect the headphones to the microphone the other thing I wanna show on here is the auto mix feature what I’m gonna do in a moment is I’ll mix a track while adding effects on the track pad so I can choose the duration once I press one of the arrow keys left or right it’ll automatically fade from the left to the right and I’ve got this set for five seconds. The default 3 seconds which I felt was a little bit too short. Then I’ll close out this menu and then hit the Browse button here on the crates. Then go to EDM and I’ll choose this track I can preview this track just by clicking on these three circles it’s not gonna play on the external speakers but it is going to play on my headphones here so if I like this track I can click here to load it onto deck 1 or deck 2 or just simply drag it up. Now I can choose another track that I want to listen to. I like this because it’s got a nice long intro on it. 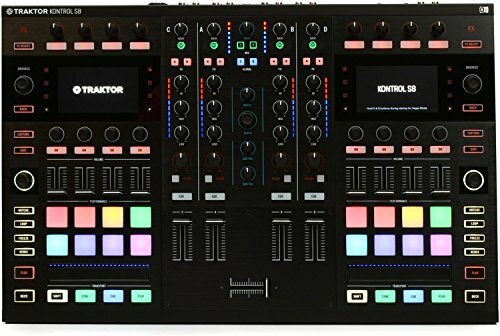 So I’ll load this onto Deck 2 but before I do I want to make sure this cross fader is on the left hand side. So It doesn’t play on Deck 2 when I load it. Now some things to point out about the music library here on Spotify is you’ve got name artist and album which makes sense, but then you also have bpm and key which is very important for DJing so I can see that this is such a 128 and if I want to I can move this tempo down to 126 which is the current song and then I can also change the key as well I’ll hit match there so now the key and beats per minute are matched. I can scratch on this track as well So to scratch. I’ll hover over the track and then with two fingers move up and down to scratch. Now you can’t hear that because it’s playing on the other track So if I want to swap over to the middle with my cross fader I’ll press F And then you can hear that scratch now I’m going to put this back at the beginning of the song and create a loop here. So now I can either use the trackpad to kind of sync things up perfectly or I can just always hit the sync button to get the beats lined up. And now I’ll show you how you can add some filters in With two fingers you can add a high pass filter here which will filter out the bass or pull down on the track pad to add a low-pass filter which filters out everything but the bass. Another option here for the effects is to tap on this left arrow This is going to open up a effects panel. You’ve got manual, pad, and instant I like to use the pad option here. You’ve got different effects you can use. I’m going to use echo. Then you can see as I move my fingers on the trackpad it effects the song. Now I can do this while I initiate the crossfade so I’ll hit the right arrow. What happened was I went too far into that area so it initiated a scratch. So that’s something you want to be careful of I’ll roll back a little bit, I’ll press PLAY Press play here Hit sync one more time. Now I’ll just put this on a loop So now as I was wanting to demonstrate before: I’m playing around with those echo effects. Making sure not to go over because that could lead to problems. Staying in the box coloring within the lines and then just press that right arrow key and this will initiate that crossfade. Then I’ll unloop this track.